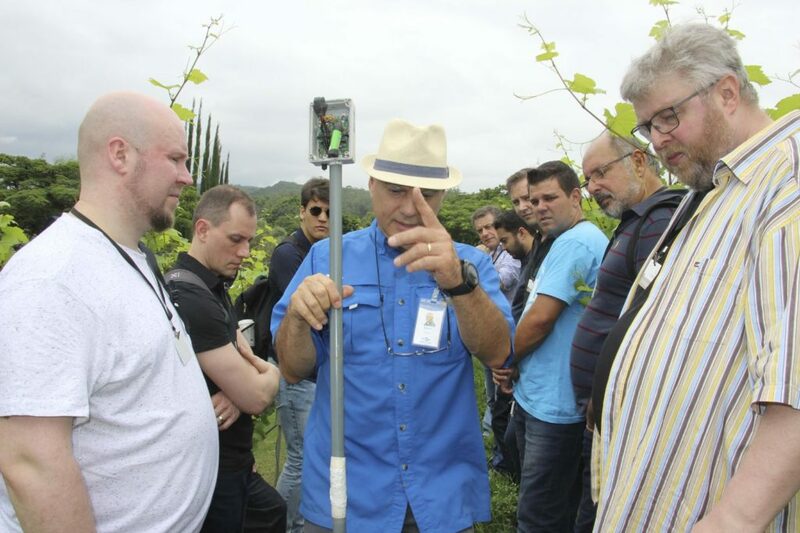 The primary objective of the SWAMP project is to develop IoT based methods and approaches for smart water management in precision irrigation domain and to pilot the approaches in four places, two pilots in Europe (Italy and Spain) and two pilots in Brazil. Also, we aim at improving precision irrigation by increasing the awareness of the condition of the crop, by monitoring the field based on crop status (size, growing phase) and environment (e.g. weather forecast) and to adapt the irrigation prescription map accordingly. Pilots focusing on smart water management aim at making sure that technological components are flexible enough to adapt to different contexts and to be replicable in different locations and settings. The same underlying SWAMP platform can be customized to different pilots considering different countries, climate, soil, and crops. Knowing the needs, requirements, concerns and constraints of the farmers is fundamental for achieving success in the development of the SWAMP Platform. 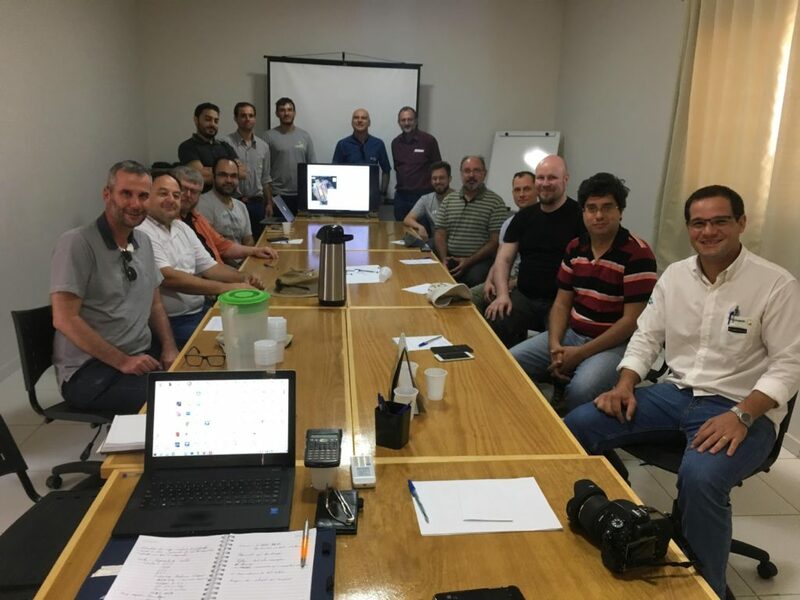 Therefore, as an essential step for the specification of SWAMP Pilots, the project members visited the four pilots between November 2017 and March 2018. The first visit was to the Smart Water Distribution Pilot in the Bologna region in Italy during 21 to 23 November 2017. The Consorzio di Bonifica Emilia Centrale (CBEC) is a reclamation consortia of the Emilia-Romagna Region in Northern Italy, responsible for the irrigation and water drainage of an area of nearly 3,130 km2 where most water required for irrigation is withdrawn from the Po river. The water is distributed to the farms by an intricate irrigation infrastructure composed of more than 3580 km of canals, more than 200 small streams, six draining plants, and 72 pump stations with the capacity of 416 cubic meters per second. 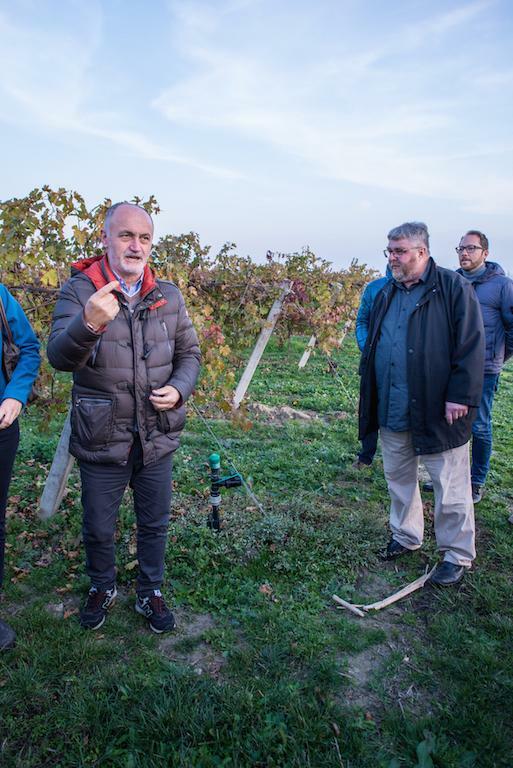 In this visit, SWAMP members learned the main crops of the farms in this area, they visited the canals and also the pumping stations where water from the Po River is transferred to the canals. The main goal for CBEC is optimizing water distribution to the farms. 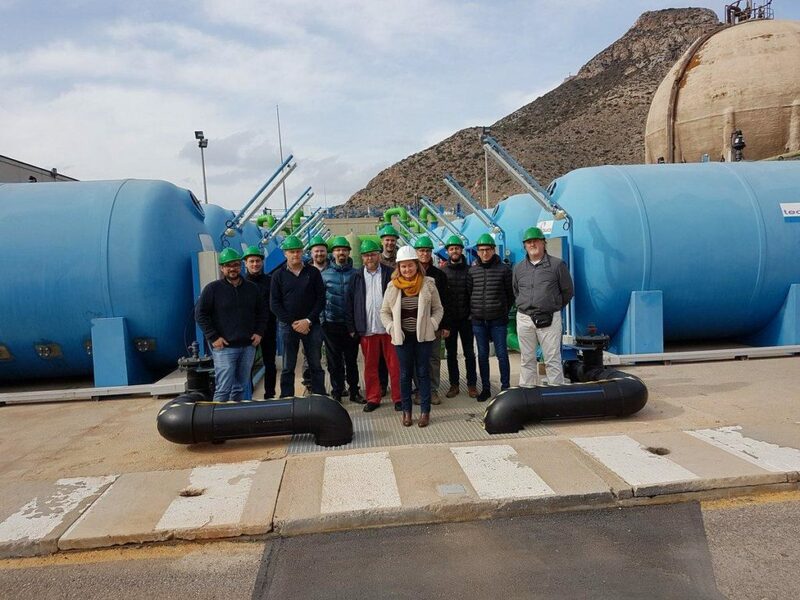 The second visit was to the Smart Precision Irrigation Pilot in the Cartagena region (Spain) between 30 January 2018 and 1 February 2018. 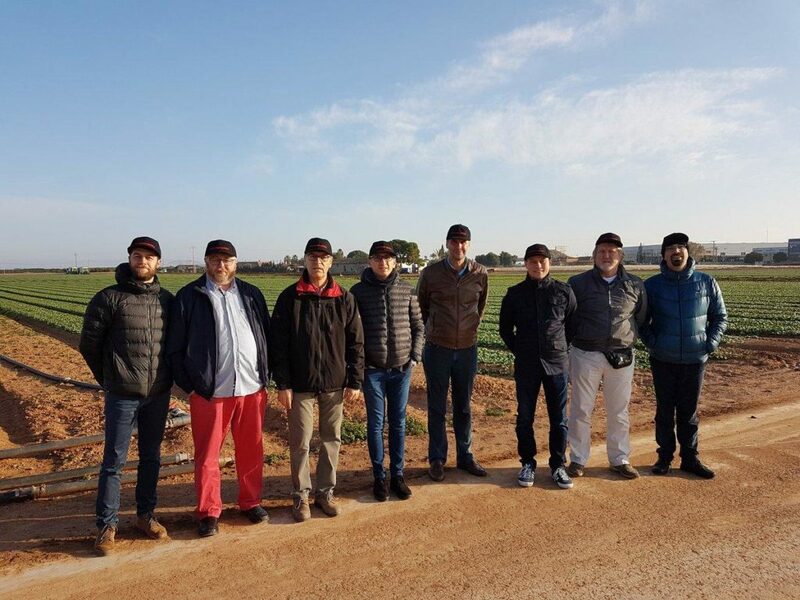 This pilot is located in Cartagena, Spain, in the premises of Intercrop Iberica and addresses several challenges of smart irrigation and water management of geographically distributed fields, aiming at demonstrating the use of IoT sensor platforms and drones to achieve increased crop yield with optimal water usage with minimum labor effort. Even though Cartagena is located on the coast, it is a dry area with a short rain season with intense rains in just a few days. A considerable amount of water comes from a desalination plant, what contributes to make it a scarce and expensive good. 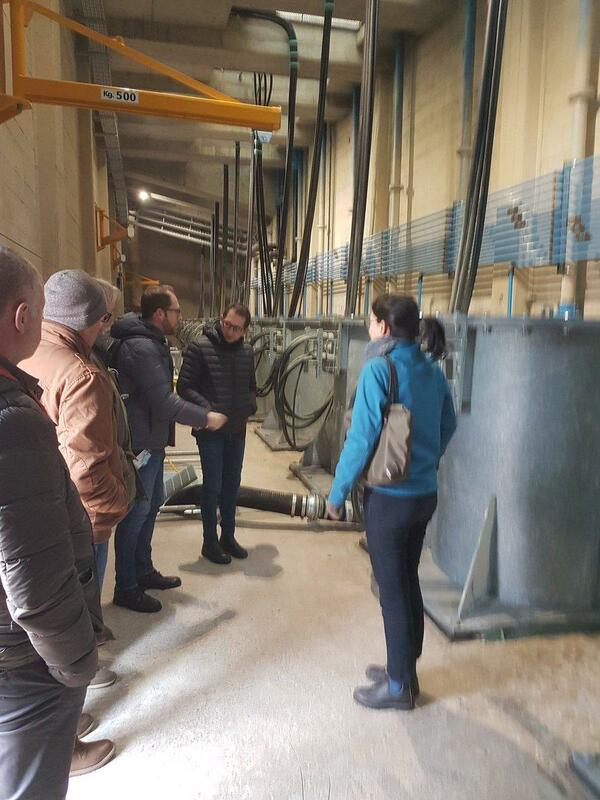 In this visit, SWAMP members learned that Intercrop uses two irrigation methods (dripping and irrigation), water comes mainly from a desalination plant and that crops are only grown in wintertime. Also, SWAMPers visited a desalination plant in Cartagena that provides water to Intercrop. The primary goal for Intercrop is using water in a more rational way. 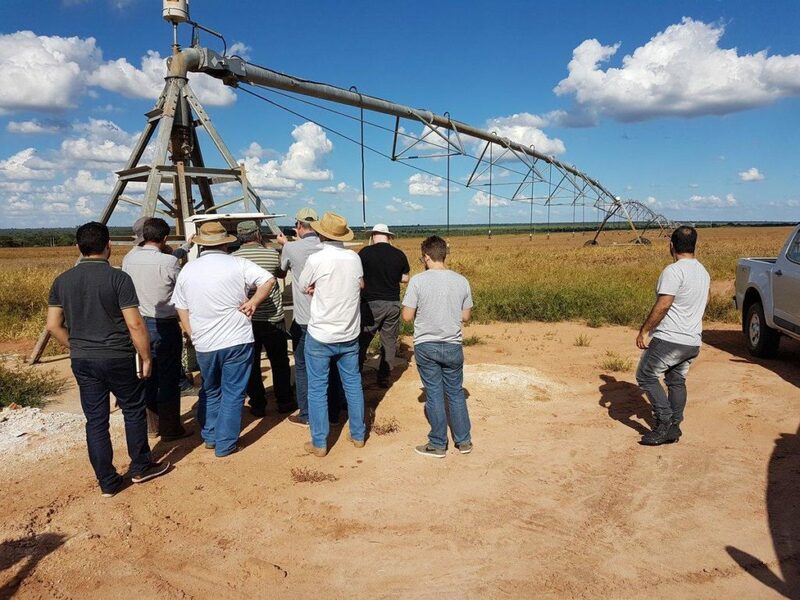 The third visit was to the Precision Drop Irrigation Pilot in Espírito Santo do Pinhal (Brazil) in 26 February 2018. 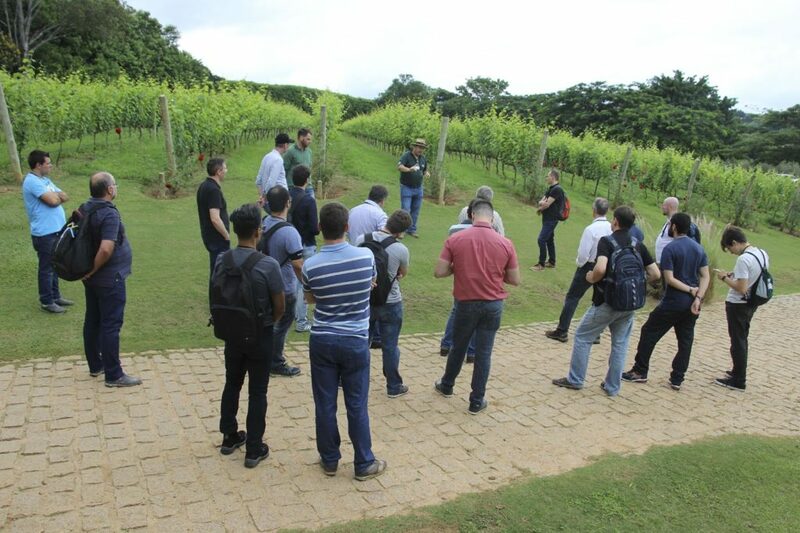 The Guaspari Winery is involved in one of the most significant innovations of winemaking in State of São Paulo, Brazil. They transfer the wine grape harvesting to the winter season (June-August), when the thermal amplitude, insolation, and absence of rainfall are better for harvesting, similar to the great wine regions of the world. The different terroirs that compose the vineyard are divided into plots, which are harvested separately. In that growing area, altitude ranges between 800 and 1,300 meters. The application of water by an irrigation system depends on the crop, weather, and soil conditions. The Guaspari Winery uses drip irrigation in its vineyards, with a single hose and emitters spaced at 0.5 m.
In this visit, SWAMP members learned that Guaspari Winery has already been performing small-scale experiments with precision irrigation and the results are encouraging in terms of understanding differences in soil characteristics that produce slightly different wines. The main goal for Guaspari is improving wine quality. The fourth visit was to the Variable Rate Irrigation Pilot in the Barreiras region (Brazil) between 27 February and 1 March 2018. The Rio das Pedras Farm is located close to Barreiras in the MATOPIBA region, a new agriculture frontier in Brazil. The MATOPIBA region encompasses the Brazilian states of Maranhão (MA), Tocantins (TO), Piauí (PI) and Bahia (BA), and is one of the most critical irrigated agricultural frontier in the country, located in the cerrado, a savannah climate subtype. Irrigation is mostly performed by thousands of center pivots, each one with an average size of 100 ha. The main MATOPIBA pilot goal is to implement and evaluate a smart irrigation system based on Variable Rate Irrigation (VRI) for center pivots in soybean production. However, alternate crops like corn and cotton are also usual, including during the same season. In this visit, SWAMP members learned that in the Rio das Pedras Farm crops are grown all year round focusing on soybeans, cotton and corn. Irrigation is needed for making that possible and in the driest and hottest season the center pivot works for 21 hours in a day and the cost of energy is an expressive component of the total cost. The main goal of the MATOPIBA pilot is to save energy.